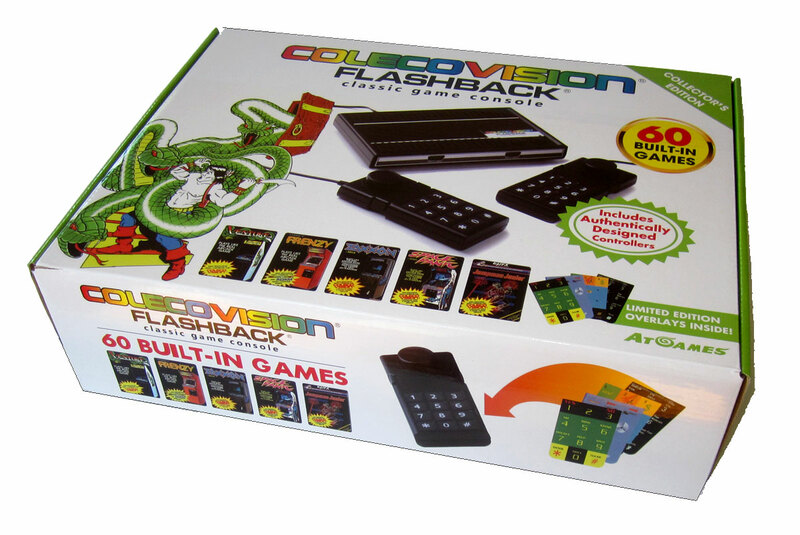 We've become accustomed to seeing the Atari Flashback series, made by At-Games, but October 2014 saw the release of the Colecovision Flashback console. Like most of this product line, there is no cartridge slot. 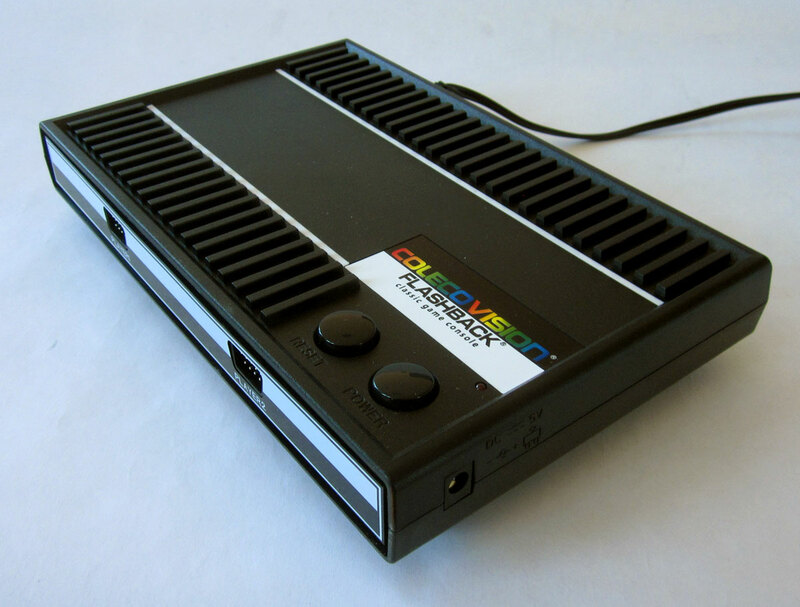 It's value lies in the ease of setup for playing 60 beloved Coleco games. I purchased mine at Toys R Us which may determine certain exclusive aspects to the distribution of this product. The mini console is visually reminiscent of the original Colecovision as are the wired controllers which detach allowing substitutes. Each controller has 2 fire-buttons and a slot to allow one of the 4 included overlays to allow easier game play via the keypad. 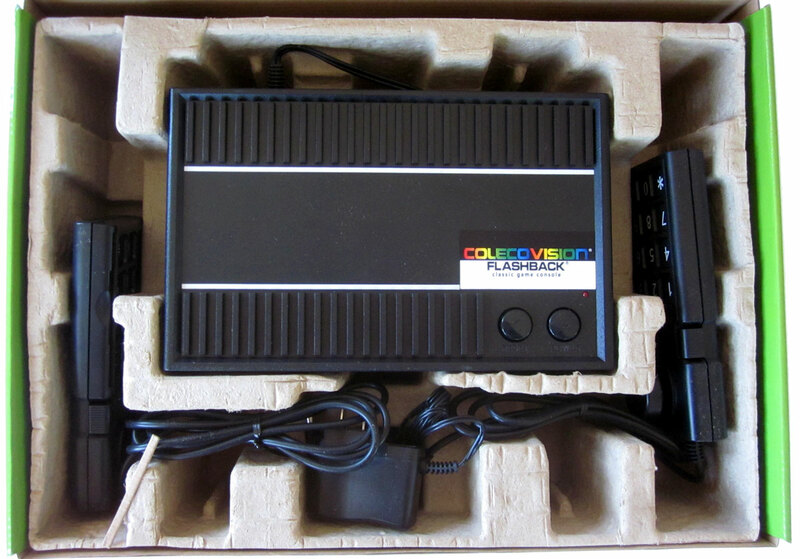 Front view of the Colecovision Flashback box. 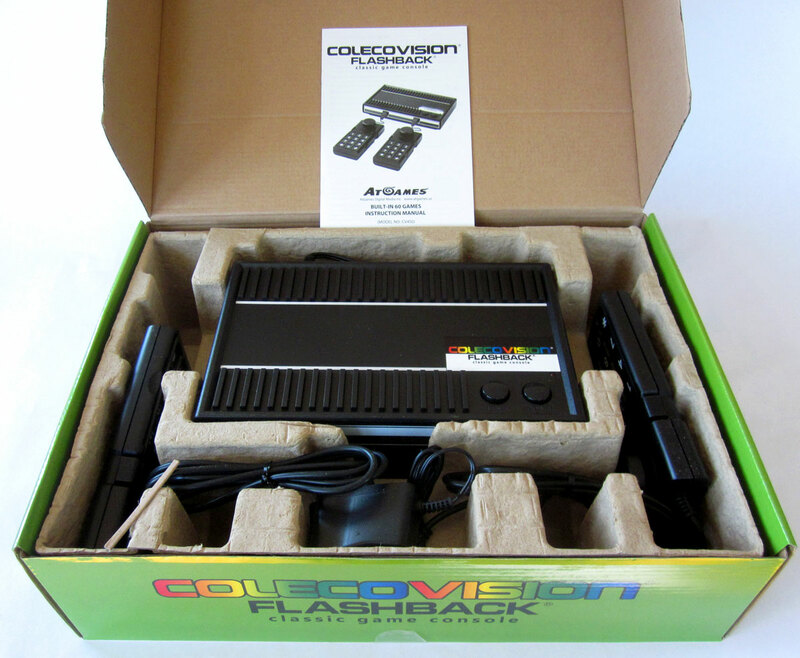 3/4 view of the Colecovision Flashback box. 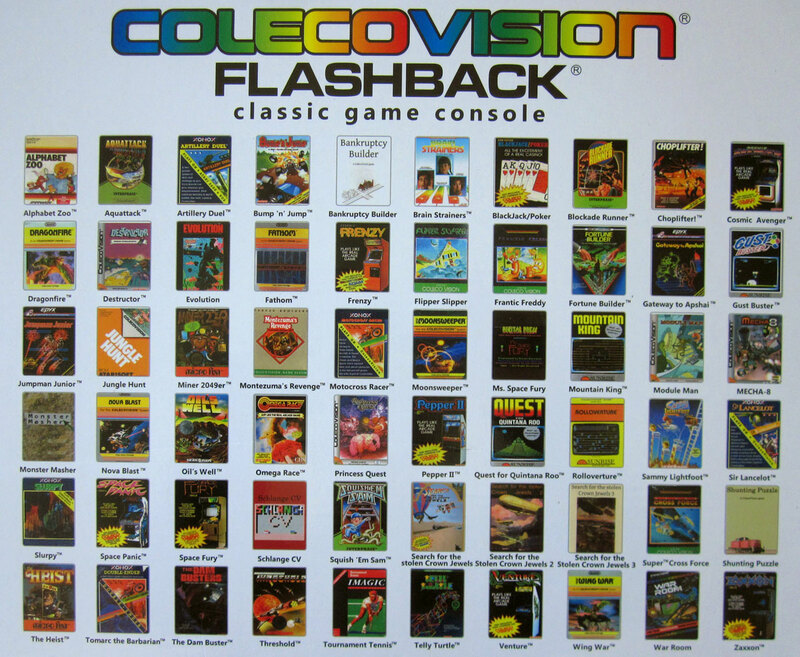 The back of the Colecovision Flashback box showing a partial listing of games. 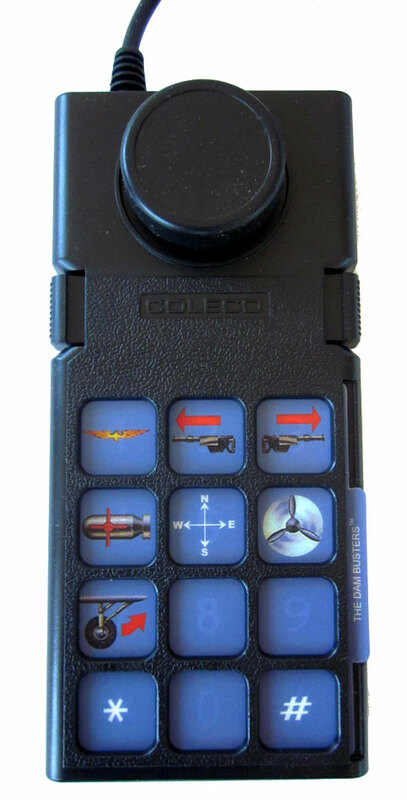 The side of the Colecovision Flashback box showing the Plug n Play logo and a feature list. The side of the Colecovision Flashback box. The packaging inside the Colecovision Flashback box. 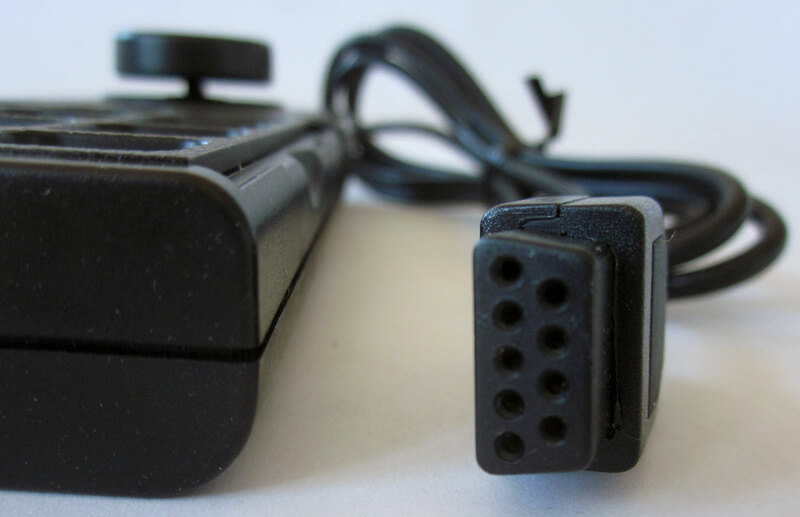 Front view of the Colecovision Flashback console showing the connection cable with 2 RCA plugs and the 2 controller ports on the front of the unit. 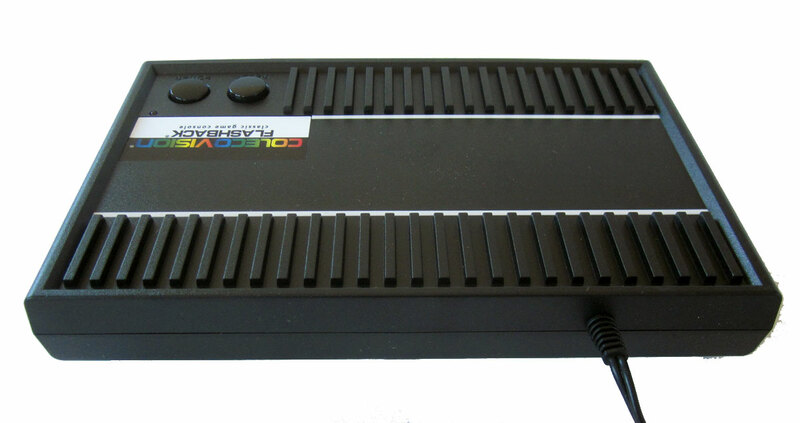 Front view of the Colecovision Flashback console showing the 2 controller ports. 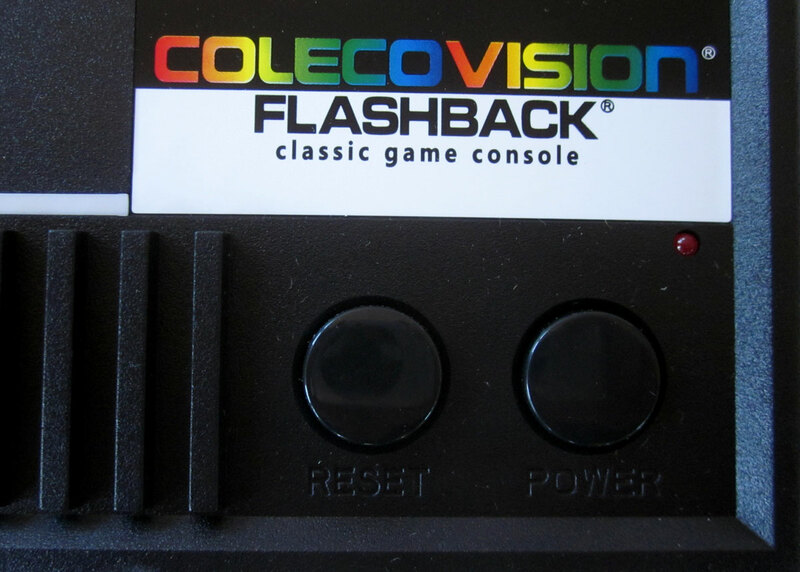 The top of the Colecovision Flashback console showing the Start and Reset buttons. 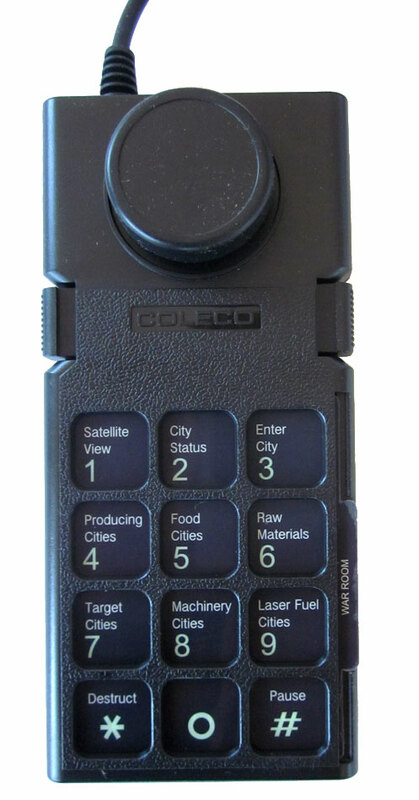 Left side of the Colecovision Flashback console. 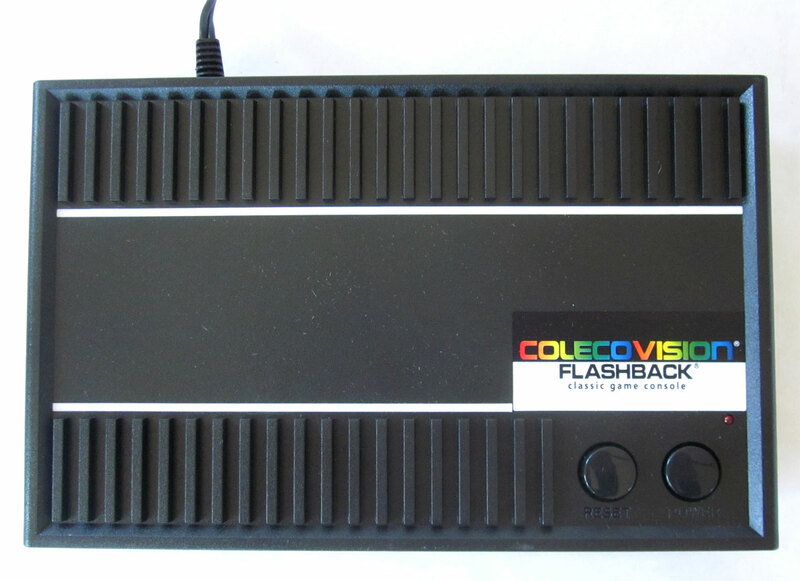 Right side of the Colecovision Flashback console. Right side of the Colecovision Flashback console showing the A/C power port. 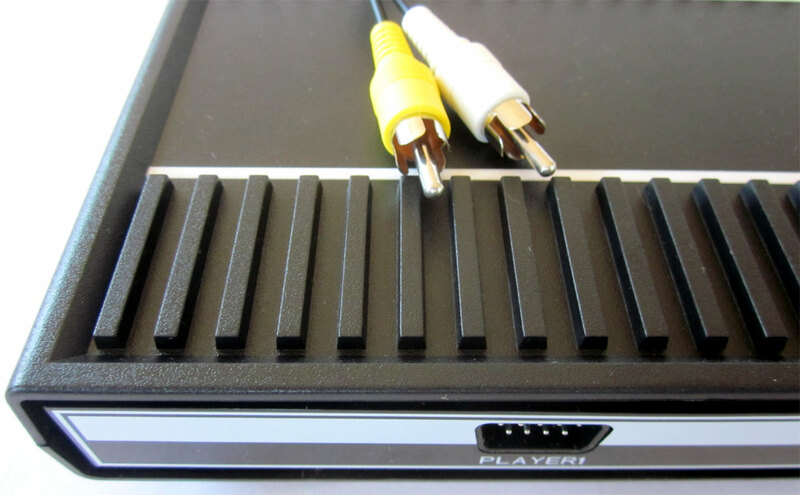 Rear of the Colecovision Flashback console showing the A/V out cable that goes to the TV. 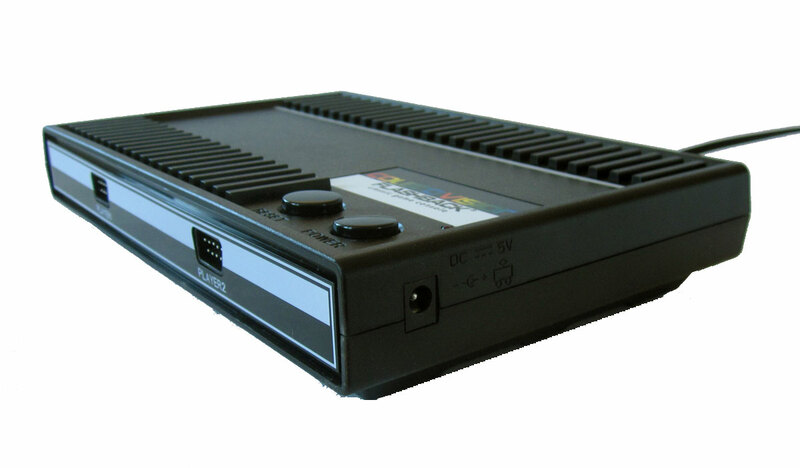 Bottom of the Colecovision Flashback console showing the FCC details. 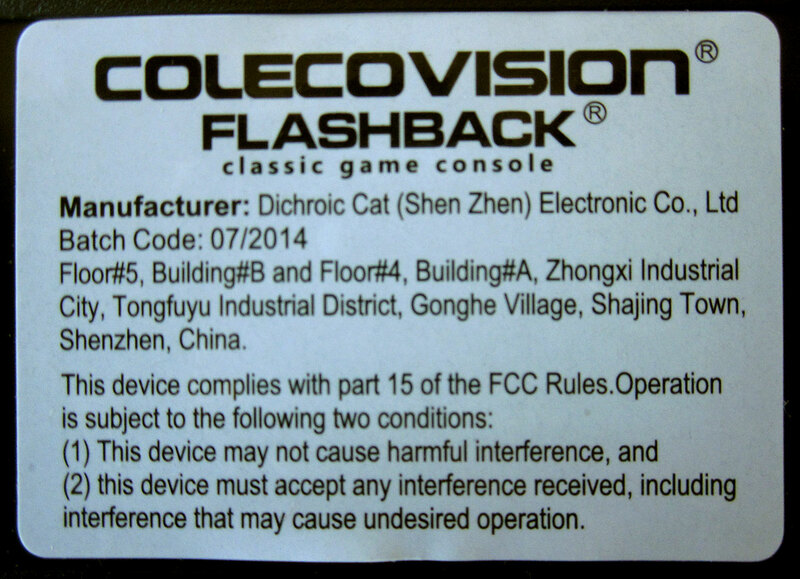 Bottom of the Colecovision Flashback console showing a close-up of the FCC details. 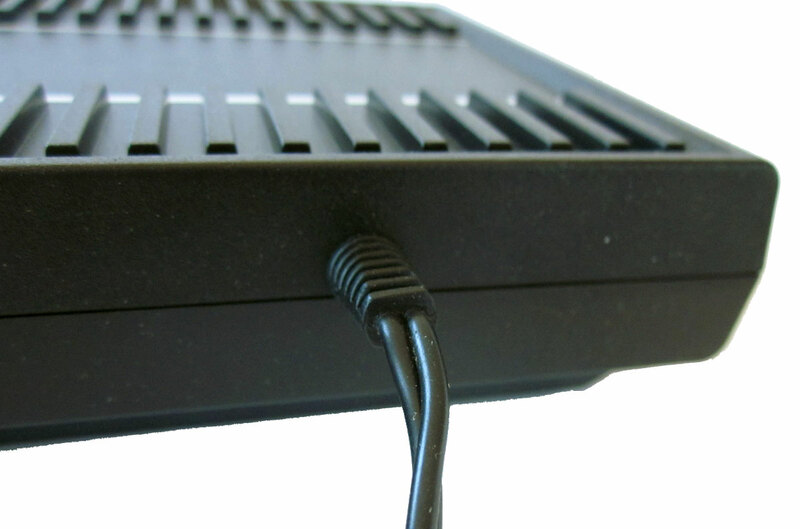 The hard-wired A/V out cable on the rear of the Colecovision Flashback console. 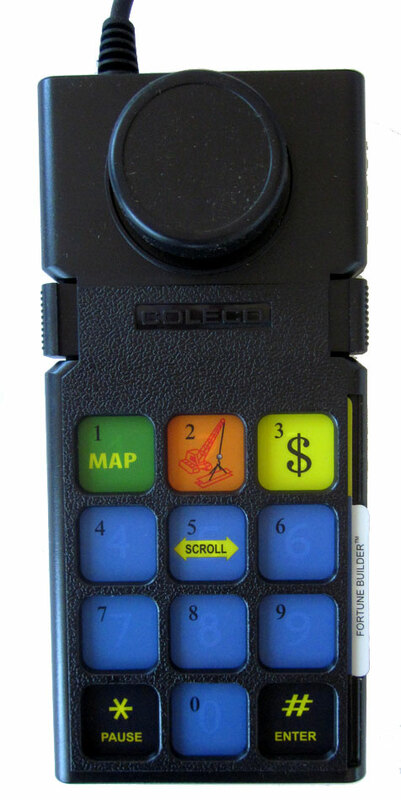 The power and Reset buttons on the top corner of the Colecovision Flashback console. 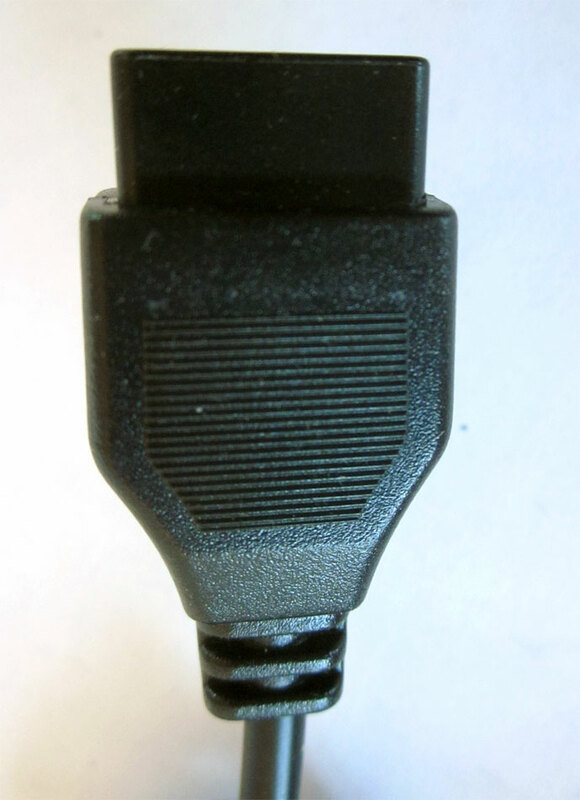 The RCA plugs that send audio and video from the Colecovision Flashback console to the TV. 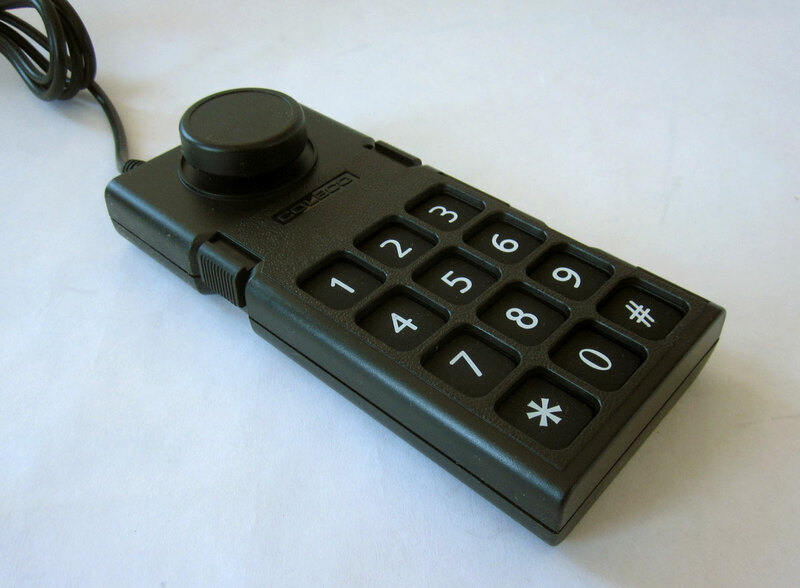 The controller plug for the Colecovision Flashback console. 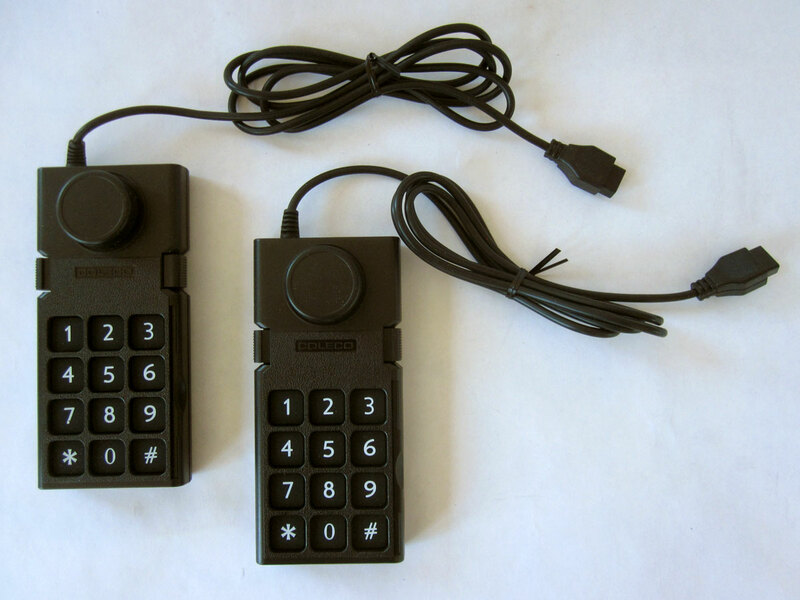 The Colecovision Flashback controllers are similar to the original ones from Coleco. 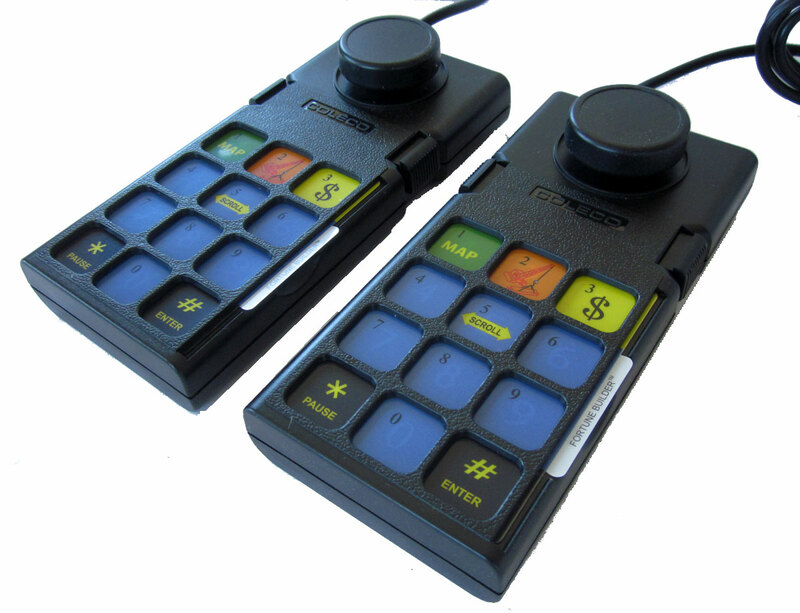 they feature 2 side-mounted fire buttons a 12-button keypad and a joystick/thumb-pad hybrid stick. 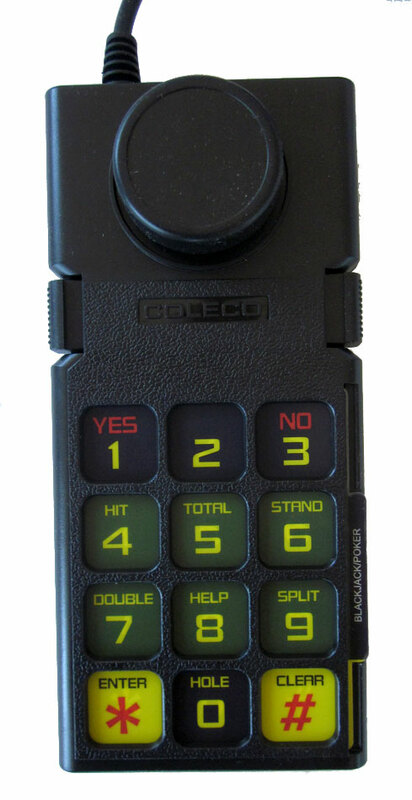 The Colecovision Flashback controller showing the side-mounted fire button. 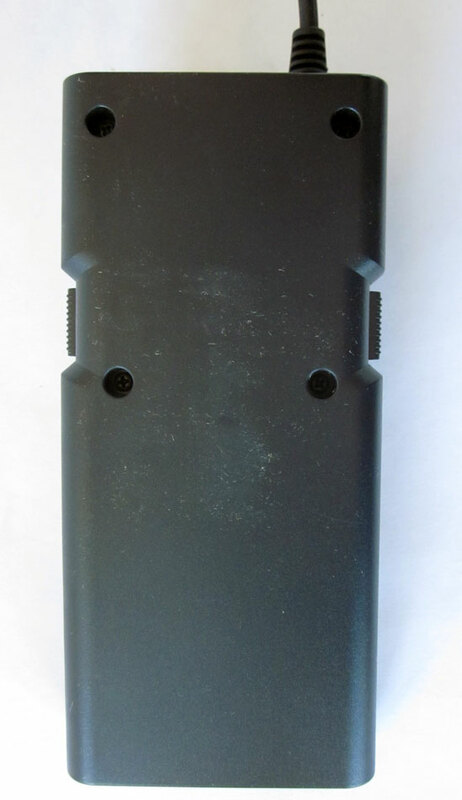 Side view of the Colecovision Flashback controller showing height of the joystick. 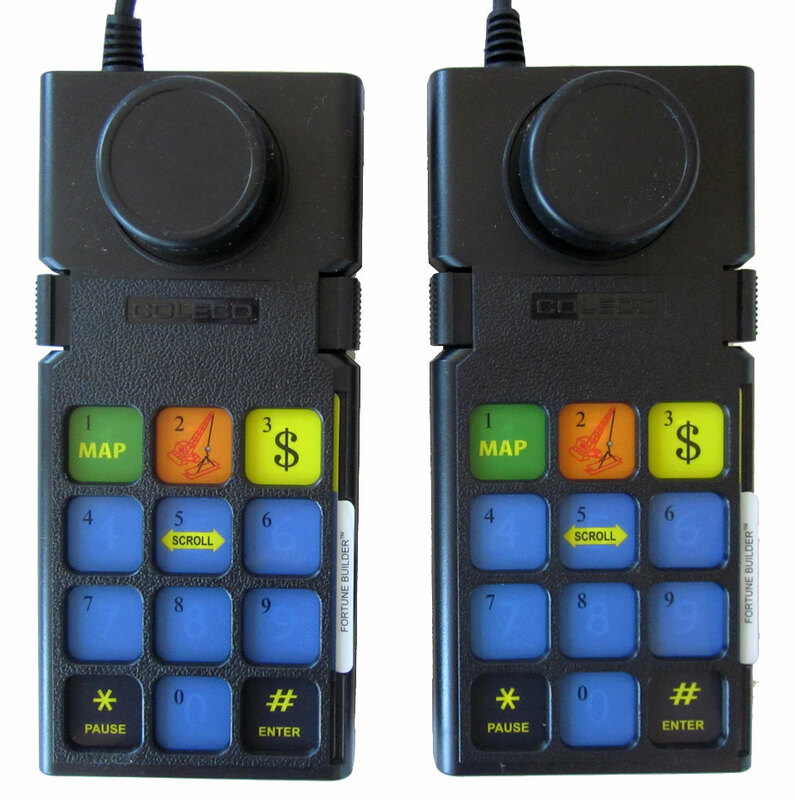 The Colecovision Flashback controllers with overlays inserted. 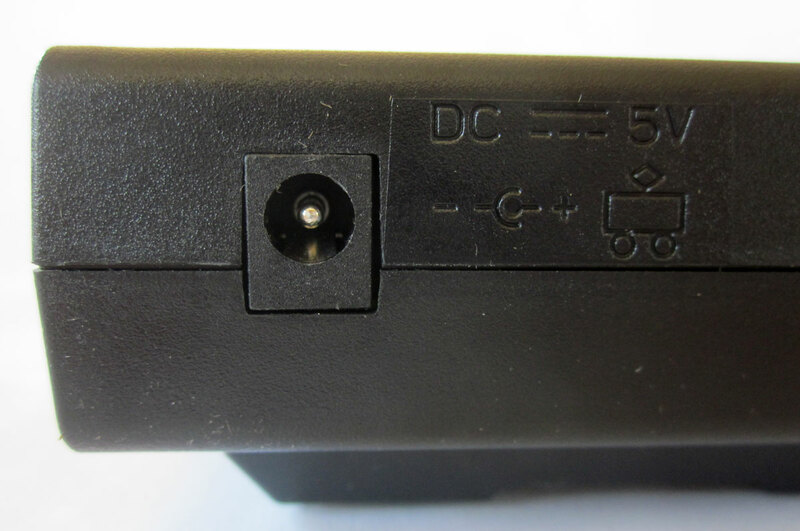 Bottom of the Colecovision Flashback controller. 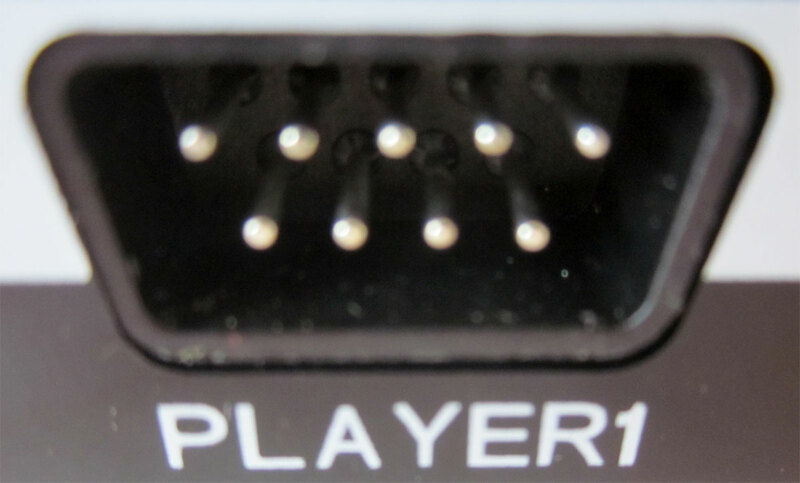 The "Player 1" controller port on the front of the Colecovision Flashback console. 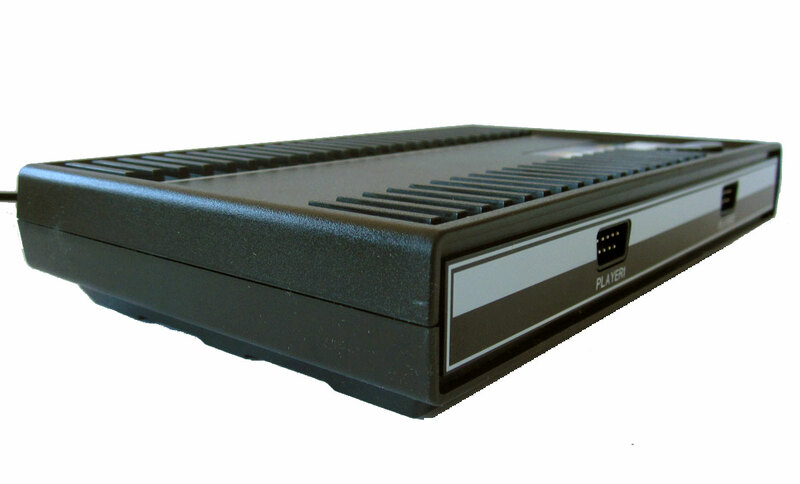 The A/C power port on the right side of the Colecovision Flashback console. 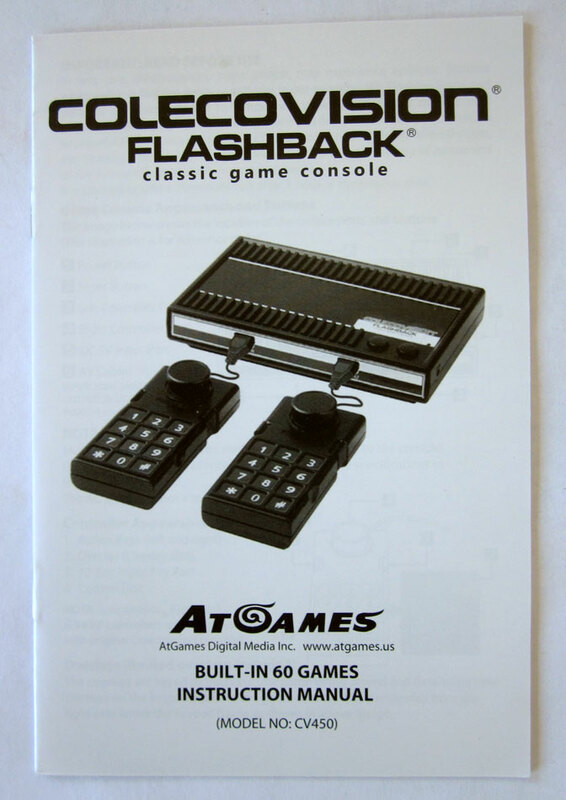 The Colecovision Flashback console manual. 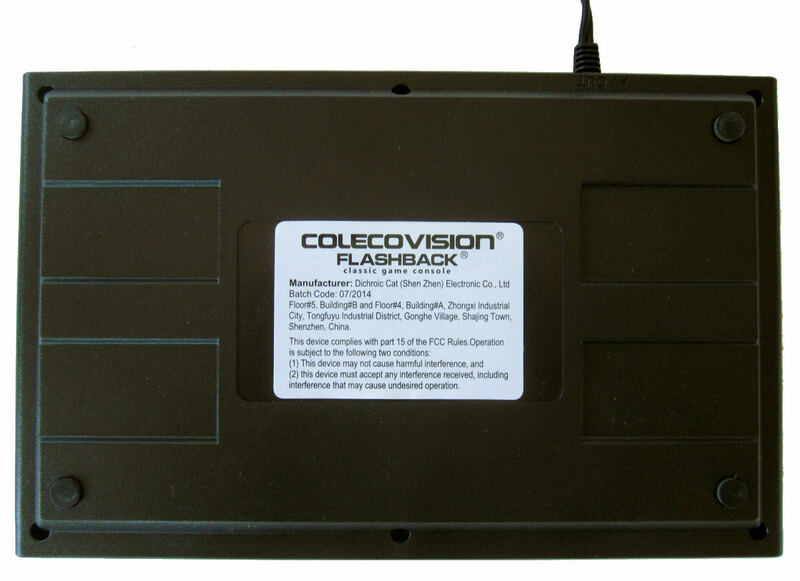 The 4 overlays that slide into the controllers of the Colecovision Flashback console. 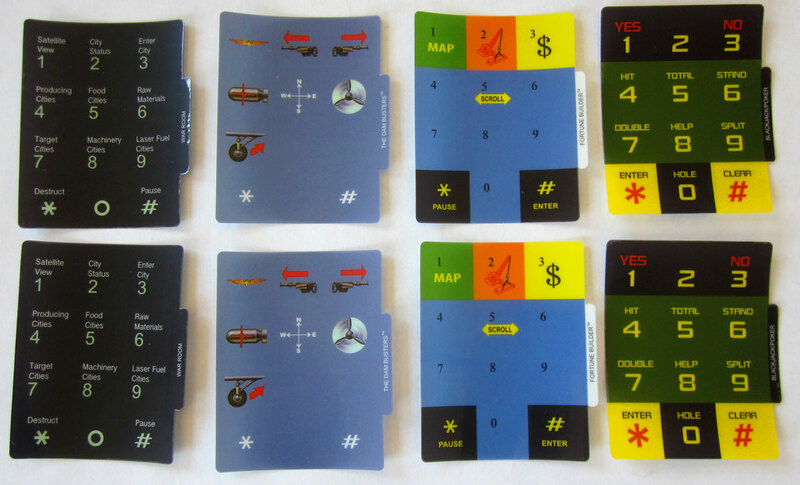 Overlays are provided for Fortune Builder, War Room, Black Jack / Poker, and Dam Busters. The controller overlay for the Dam Busters game. The controller overlay for the Fortune Builder game. The controller overlay for the blackjack game. The controller overlay for the War Room game. 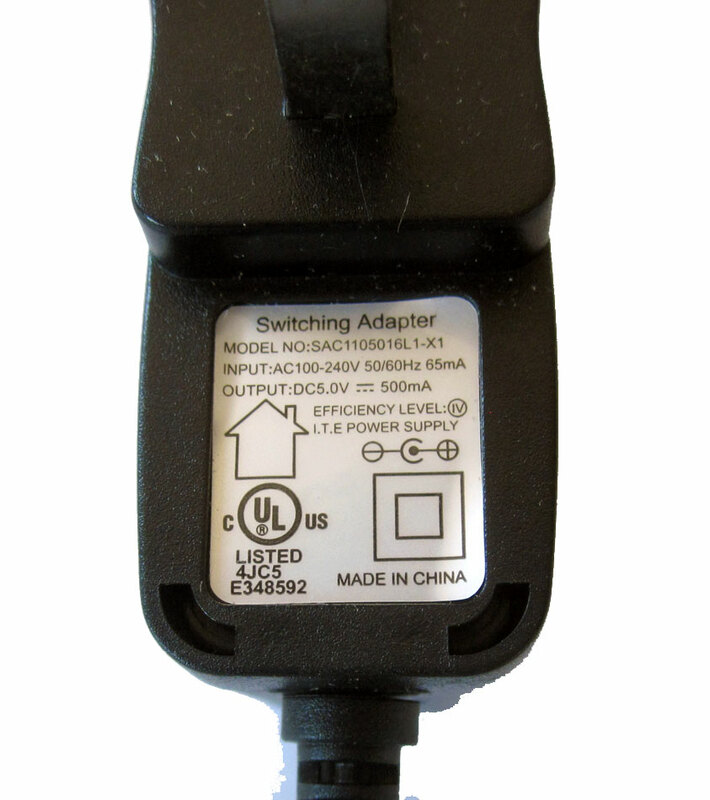 The power adapter for the Colecovision Flashback console. 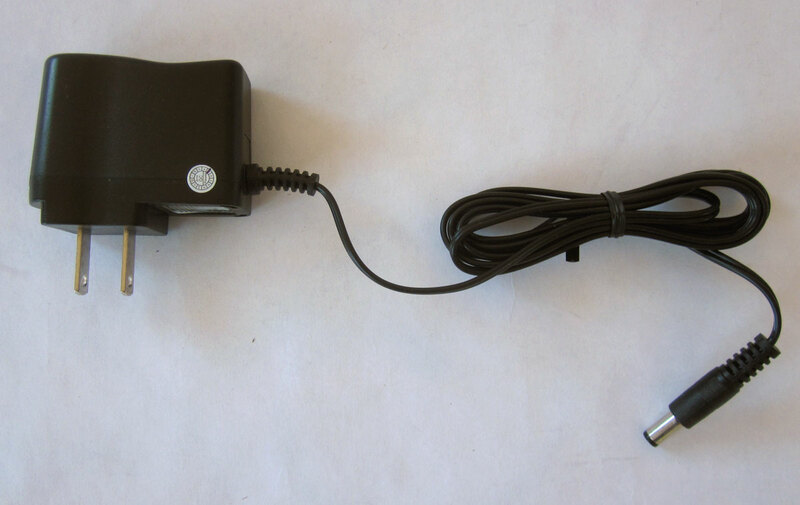 Power adapter info and specs for the Colecovision Flashback console. 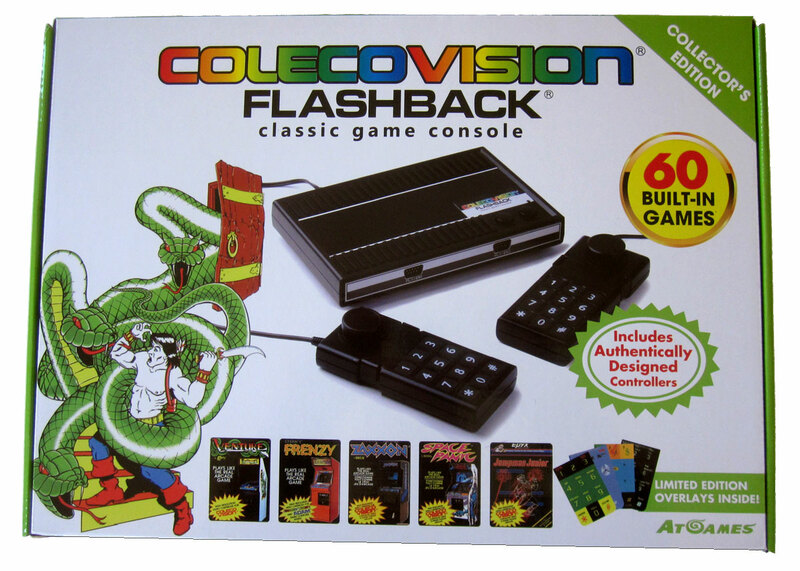 The following games are bilt in to the Colecovision Flashback. I have heard that there is a bonus game included in models sold at various exclusive locations. Additionally, I've heard there may be different overlays depending on where it is purchased.